No matter if you’re looking for the latest style in eye glasses or LASIK consultations, or have a concern about your vision we’re here to help our Pasadena, California patients. 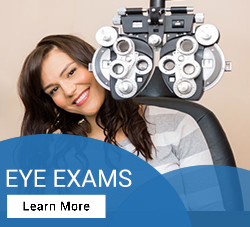 Plaza Vision provides comprehensive eye exams and accepts most major vision insurance plans. 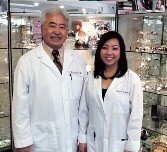 A two-generation family owned and operated business, we’ve been taking care of our patients’ eye health since 1973. Located less than 20 minutes from Pasadena we welcome all ages, and use the latest in digital technologies such as auto refractors for the very best prescription. Dr. Alysa Watanabe, O.D. received her doctorate from the Southern California College of Optometry and is a member of the American Optometric Association, the California Optometric Association, Remote Area Medical (Los Angeles), and the San Gabriel Valley Optometric Association. She brings a personal touch to all she does to best serve her patients. In addition to those covered by private vision insurance, our services include Medi-Cal patients. A visit to an optometrist isn’t just vision testing for eye glasses or contact lenses. Our comprehensive eye exams include a retinal exam for issues such as macular degeneration along with glaucoma and cataract screening. We’ll also evaluate your overall wellness in order to consider underlying conditions that might affect your vision. So even if you don’t need glasses regular eye exams are important, especially as we grow older. And if you notice any changes in your vision call us or another Pasadena optometrist immediately. We would like to also be your optician to provide and fit your glasses and contacts. 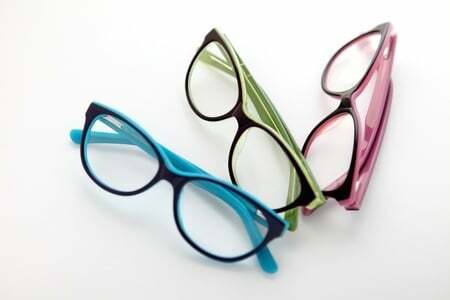 We offer an up-to-date inventory of prescription glasses and sunglasses, reading glasses, and protective eye wear. That includes over 20 top brands of designer frames, from Nike to Djor and Gucci. You may also choose mirrored lenses, polarized sunglasses, and various tints. We’ll make sure that your glasses enhance your appearance, not distract from it, and let your personality shine through. When your lenses have arrived we’ll fit and adjust the frames to your face for the best in appearance, comfort, and clear vision. Many people initially choose contact lenses for a natural look, and most end up loving them for eliminating fogging and having no frame limiting their view. If you have dry eyes and even if you’ve been told before that you can’t wear contacts, recent innovations may well have changed that. 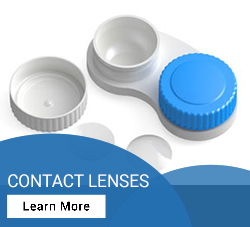 There’s nearly a dozen distinctive types of contacts so we’ll guide you to the best choice specifically for you, and carefully check your contact lens fitting for the utmost comfort. 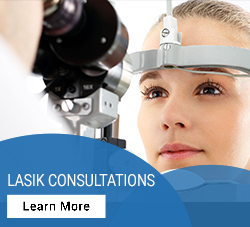 LASIK surgery and other laser-based procedures can often correct myopia (nearsightedness), hyperopia (farsightedness), and astigmatism to the point that you no longer need glasses or contacts. Dr. Watanabe and staff don’t perform LASIK procedures but do offer consultations to determine if you’re a good candidate. If so, they will refer you to an expert ophthalmologist specializing in laser eye surgery. We’ll assess your vision and eye health and help you choose the best options. We also provide post-operative check-ups to monitor progress and your improved visual acuity. Thanks to Cal Tech and JPL, Pasadena has been home to an exceptional number of Nobel Prize winners. Richard Feynman, Murray Gell-Mann, Linus Pauling, William Shockley as well as noted astronomer Edwin Hubble to name a few. Also been home to entertainment and sports figures Meredith Baxter, Michael Dorn, Jackie Robinson, David Lee Roth, Phil Spector & Eddie Van Halen. (en.wikipedia.org) There’s probably more to do in Pasadena than you think, so check out upcoming events at http://www.visitpasadena.com/.